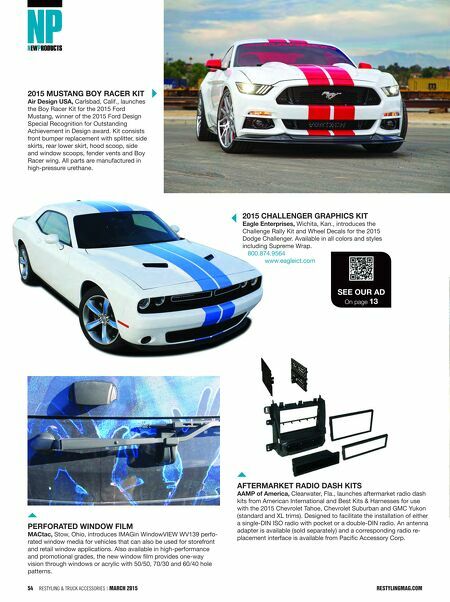 restylingmag.com March 2015 | Restyling & tRuck AccessoRies 55 Wrap Films and Overlaminates 3m Graphic solutions, St. Paul, Minn., launches Envision Print Wrap Films and Overlami- nates. Custom-designed suite of printable graphics. Conformable films made for complex contours. Non-PVC material used for high-performing sustainability. 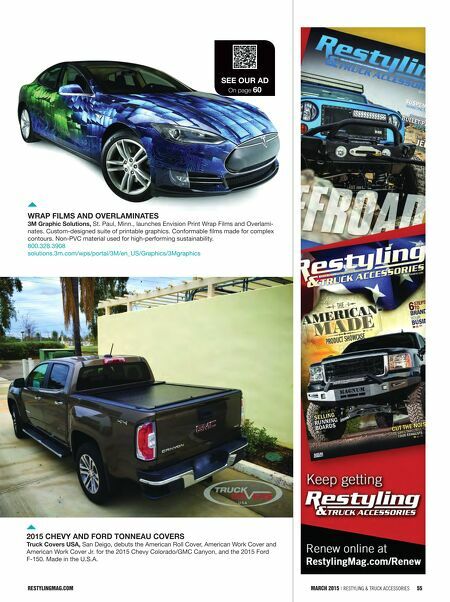 800.328.3908 solutions.3m.com/wps/portal/3M/en_US/Graphics/3Mgraphics see Our ad On page 60 2015 Chevy and FOrd tOnneau COvers truck Covers usa, San Deigo, debuts the American Roll Cover, American Work Cover and American Work Cover Jr. for the 2015 Chevy Colorado/GMC Canyon, and the 2015 Ford F-150. Made in the U.S.A.